Article Laura McKay, on behalf of Heritage Winnipeg Corp. Photography courtesy of Megan Redmond. This three time Doors Open Winnipeg People's Choice Award Winner truly deserves its award title as Winnipeg's "Hidden Gem". 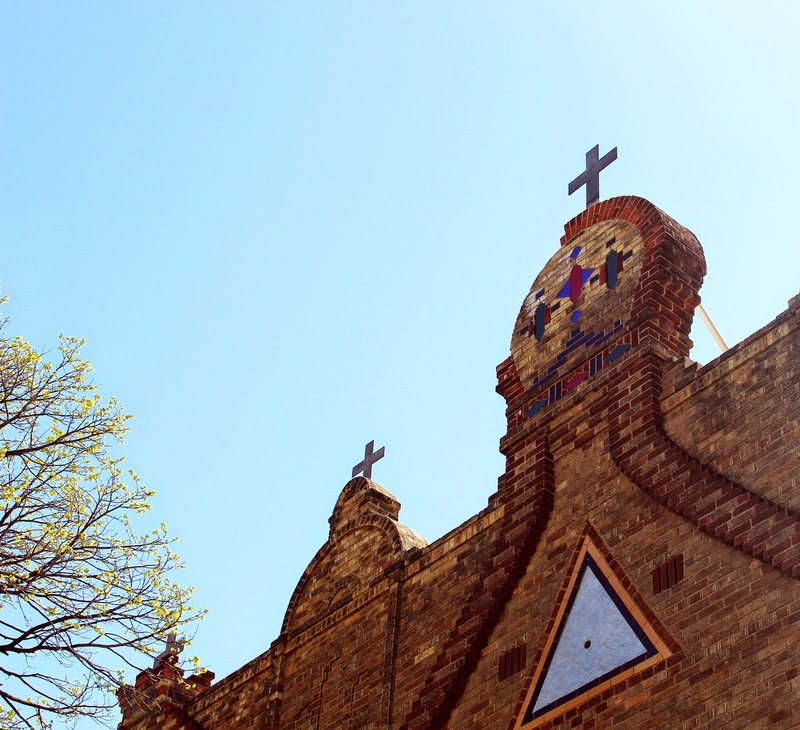 Located at 115 McGregor Street, the Cathedral is a massive structure, with the Parish Hall also on site as a reminder of the Parish's past. 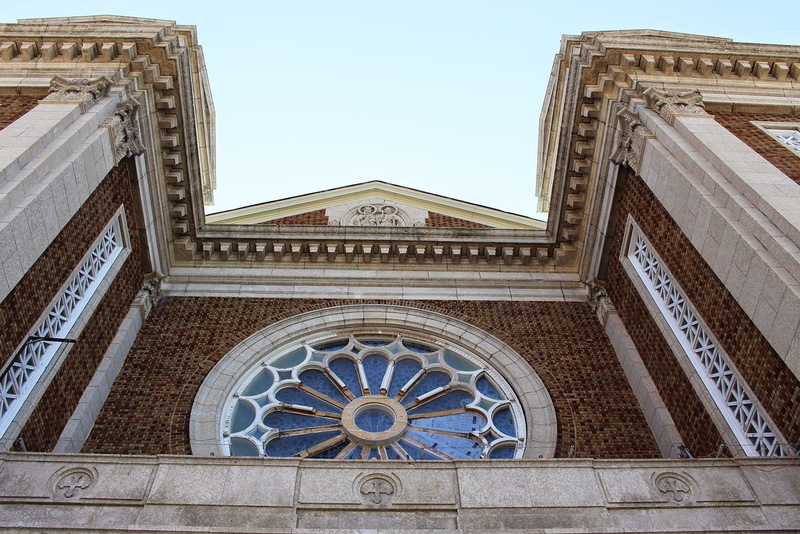 The building is currently sitting on the City of Winnipeg's Nominated list, which means it is awaiting approval of its request for municipal heritage designation. To view their listing on the City of Winnipeg's website, click here. 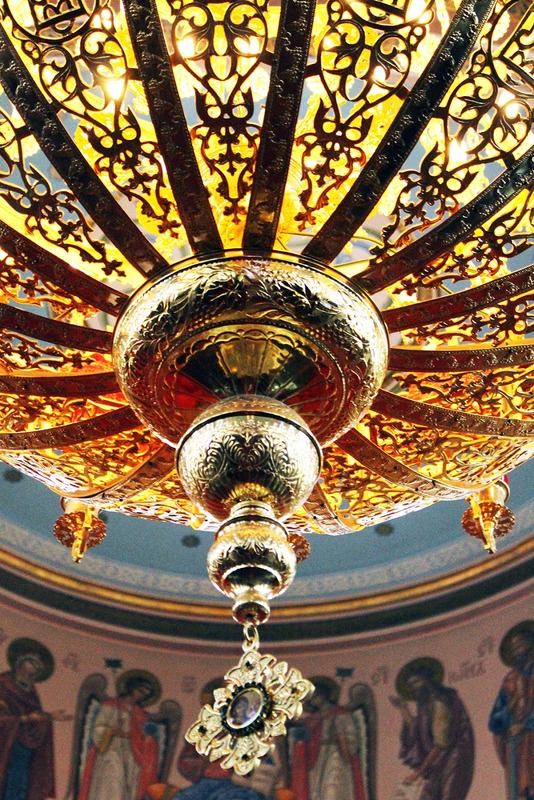 This chandelier is one of only two of its kind in Manitoba, a gift from parishioner purchased from Greece; the other is in Dauphin. 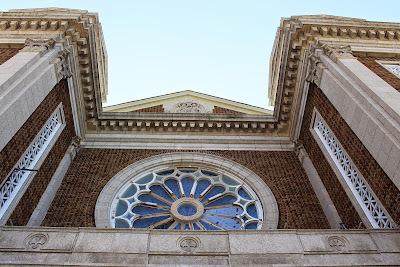 The Sts Vladimir and Olga Ukrainian Catholic parish was established in 1907, as a response to tensions as a result of the differences between the Roman Catholic and Ukrainian Catholic churches. The new parish worshipped out of an old wooden church built in 1900. A lengthy search for a Ukrainian Catholic secular priest who would be willing to move to Canada was undertaken, a task that proved quite difficult. At a time when 97 per cent of Ukrainian Catholic secular priests were married, married priests had been banned from North America by local primates and the Vatican. This privilege would not be restored to Ukrainian Catholics in North America until after the Second World War. The first priest, Father Toma Vasylevych, was brought to Winnipeg in April of 1908, although he did not stay long. Numerous priests came and went from the parish until 1910, when Father Emyliian Krasicky took the position. It was under his leadership that demands for a Ukrainian Catholic bishop were met, arriving in the form of Nykyta Budka in December of 1912. The new bishop's authority was accepted by the Parish and and he in turn brought the church and its congregation into communion with the church. 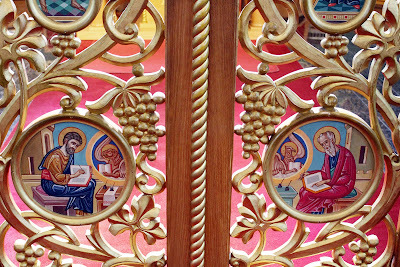 Within months, Sts Vladimir and Olga was designated as the Bishop's cathedral. Maintenance being done on the rosetta stained glass. Protective glass is required for the exterior of the windows to protect them from vandalism. To replace a single window would cost hundreds of thousands of dollars these days. Construction of the current cathedral began in July of 1947 and was completed and dedicated to the Sts. Vladimir and Olga in 1951. 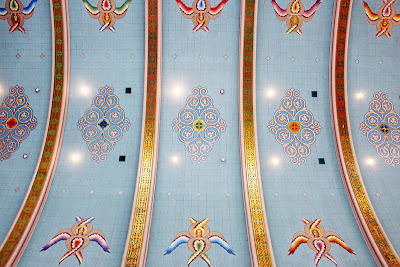 The dedication was performed on April 15, 1952 by His Eminence James C. Cardinal McGuigan of Toronto and His Excellency Archbishop B. Ladyka, Ukrainian Catholic Exarch of Central Canada, assisted by numerous Archbishops, Bishops, and Clergy of Western Canada. This is the third church on the site at 115 McGregor, with the second now being used as the Parish Hall next door. 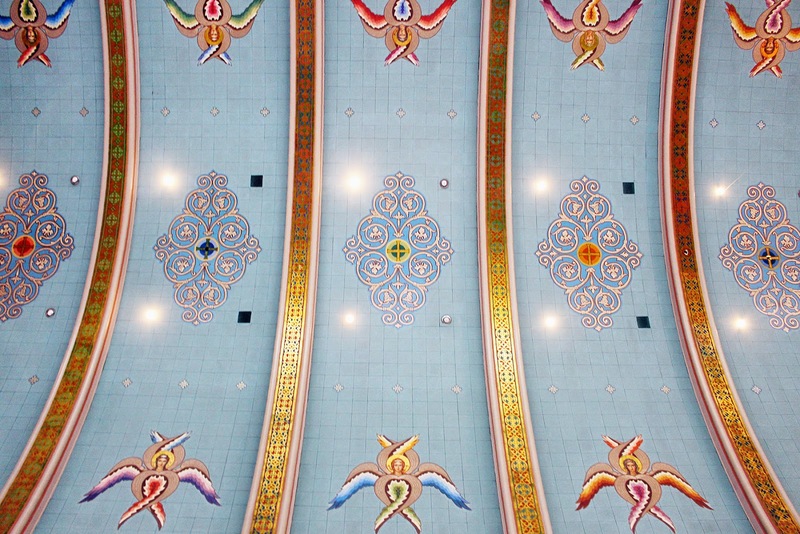 Built in the Classic Byzantine style, the Cathedral is 200 feet long and 64 feet wide, with two domes that are each 100 feet tall. 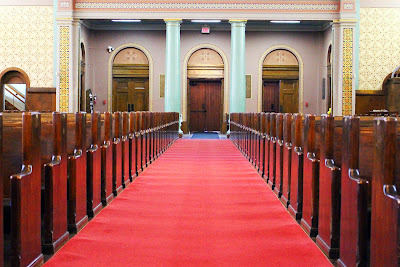 The nave (part of the church with pews for the congregation to sit) has seating for over 2000 people, although the congregation is no longer as large as when it was built. 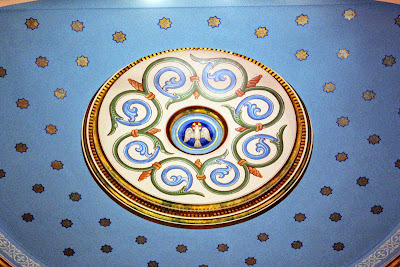 Ornate decor covers the walls and ceilings, with depictions of saints and the stages of the cross, along with other religious symbols. 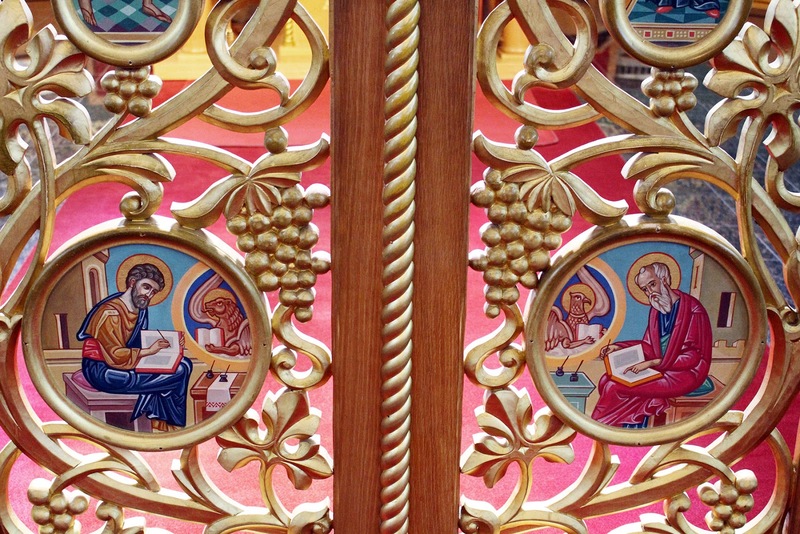 The Icons were created by Sviatoslaw Hordynsky and his assistant Romen Kowal, from New York, while the Great Iconostasis (which separates the sanctuary from the nave) is the work of fellow New Yorker Serhj Lytwynenko. 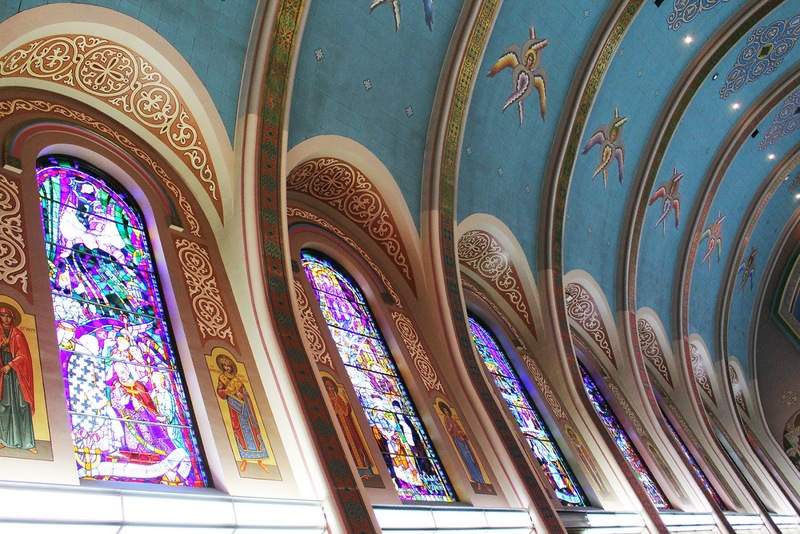 The late Leo Mol (originally known as Leo Molodoshanin) created 16 of the 34 stained glass windows in the church, as well as two bronze statues - one of St. Vladimir and the second of the Ukrainian Catholic's first Canadian Bishop, Nykyta Budka. 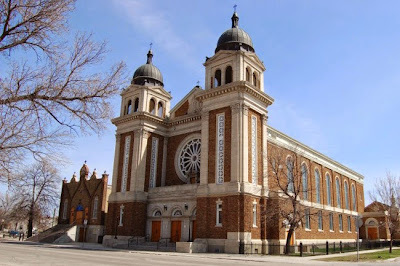 The cathedral purchased the 28-acre All Saints Cemetery, which is found 9 miles north of Winnipeg in 1920 and it remains under the parish's administration. 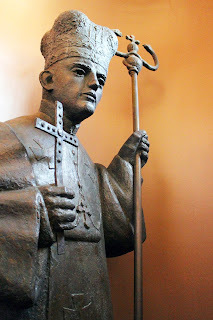 Distinguished visitors to the cathedral have included Pope John Paul II, who has now been made a saint, visited on September 10, 1984. The patriarch of the Ukrainian Catholic Church has visited many times as well, most recently in September of 2012. Numerous consecrations have taken place here and as many as 30 bishops at one time have been within its walls. Distinguished guests that may be more familiar have included Lieutenant Governors, Prime Ministers, and government officials. Well-known examples are Peter Liba, who was buried from the cathedral and former Mayor William "Bill" Norrie, who was a regular attendee with his wife Helen. Princess Olga of Kiev was named a saint and equal to the apostles in 1547 by the Orthodox Church. She is one of only 5 women to be honoured with this status in the history of christianity. Highly respected by her people, she became the sole ruler of Kievan Rus after the death of her husband, her son Svyatoslav being far too young to rule. She continued to rule alongside her son after he came of age, managing the internal affairs. She established a system of tributes, which is sometimes considered to be the first legal tax system in Eastern Europe, along with centres of trade and taxation, to be overseen by her representatives. In addition, Olga is well-known for being one of the first to bring Christianity to the pagan society of Kievan Rus. She converted and was baptized in 955 or 957. 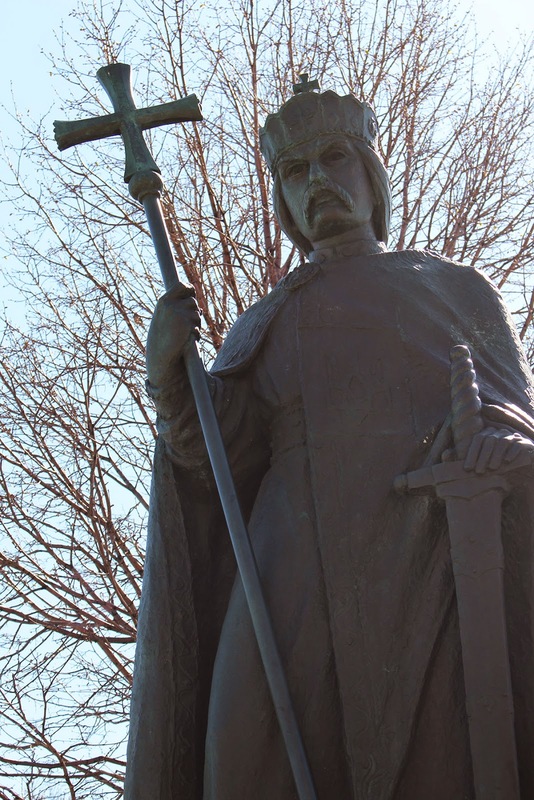 Her son, Svyatoslay, did not approve, for fear they would lose the army's respect. Svyatoslay's illegitimate son Vladimir eventually became the ruler of Kievan Rus through the conquest of his brothers' lands. He originally had five pagan wives but converted to Christianity in 988 to marry Princess Anna, the sister of the Emperor in Constantinople. It is said that he destroyed the statues he had previously erected to the pagan gods, then set aside his pagan wives and warlike ways and set about establishing schools, ecclesiastical courts, and spreading the Christian faith. He and Anna had two sons, who would later become saints as well.